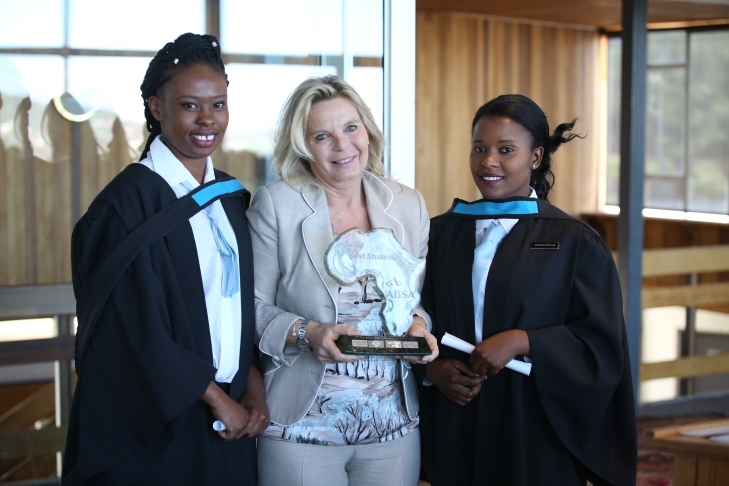 This year, 96 women from eight Southern African Development Community member states – Lesotho, Malawi, Mozambique, Namibia, South Africa, Swaziland, Zambia and Zimbabwe – graduated at SA College for Tourism (SACT). 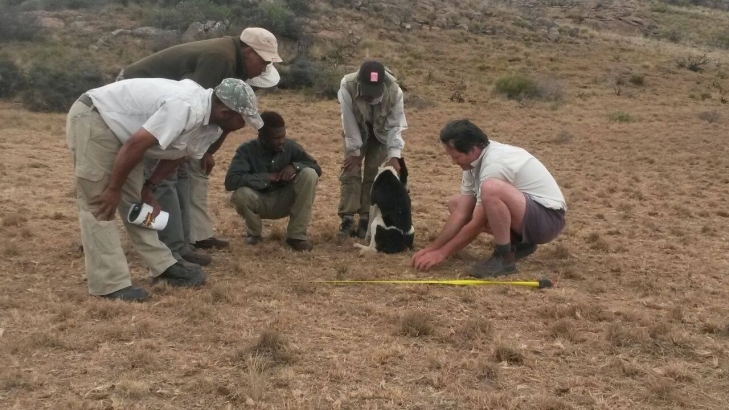 They were joined by 24 young men who had completed 12 months of nationally accredited training in tracking animals in the wild, offered by SACT Tracker Academy. 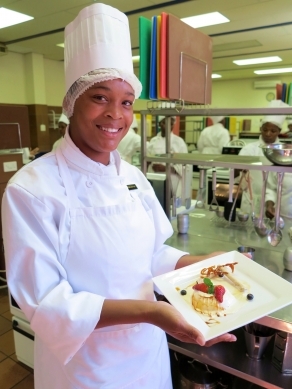 Every year young women and men who are unemployed and from impoverished rural backgrounds receive sponsorship for a year-long training course in hospitality service skills and tracking skills respectively. These bursaries are funded by the donor community of Peace Parks Foundation and the college. The 2017 Graduates received their national certificates from HRH Princess Irene of the Netherlands, carrying forth the legacy of her father, Prince Bernard of the Netherlands, one of the Founders of the Peace Parks Foundation, the principal of SACT. Mrs Barbara Pudel of Geneva, announced Yolanda Zenasi from Zimbabwe and Asanda Kortjan from South Africa as the two top hospitality students of the year – whose award includes a three-month, all expenses paid work experience visit to the Pudel family’s guest house in Portofino, Italy. 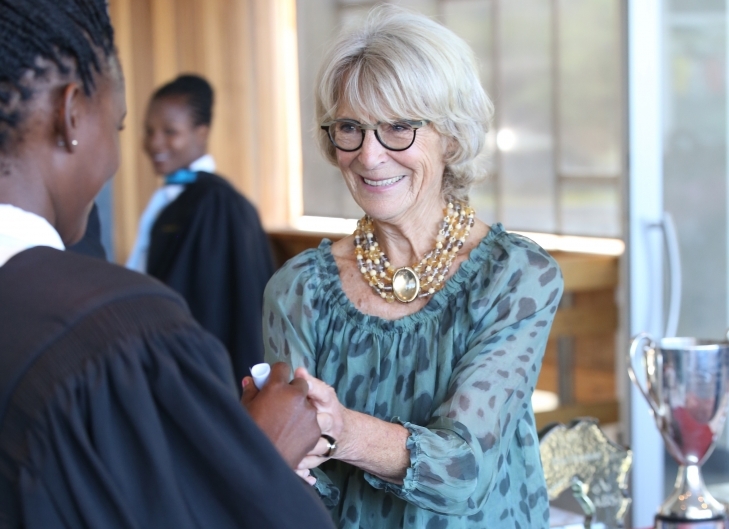 Graduation was brought to a close by Mrs Gaynor Rupert, Chairperson of SACT, who handed the Peace Maker of the Year awards to Petronilla Manikwa and Jabulani Ndlovu. The awards, signed original prints of President Mandela from a limited edition by Dr Harold Riley (court painter to Her Majesty Elizabeth II), were donated to SACT by the painter five years ago. That’s exactly what Gillian is doing, because she also wants a better life for her two young children. At a pre-graduation dinner at Drostdy Hotel on 16 November, SACT announced the establishment of a new training division, the SACT Herding Academy, which will open its doors to fully accredited herding training in January 2018. The Herding Academy will be a holistic learning platform where the ancient skill of herding livestock to sustainably preserve nature is shared. With grateful acknowledgement of donors and supporters of the College: The Rupert Family Foundations, European Union, Embassy of Finland, TK Foundation, Koos & Rona Rupert Educational Trust, South African Lottery Commission, Remgro (Pty) Ltd, Anglo American Chairman’s Fund, Old Mutual Foundation, Marsh Africa, Nedbank Private Wealth Charitable Foundation, Nedbank Eyethu Community Trust, Distell Development Trust, Hans Hoheisen Charitable Trust, Tswalu Foundation, the Lloyd Family Foundation, Firearms Management , Lloyds Travel of Sandton, Rand Merchant Bank, Mrs Irene Staehelin, Dr Hilary Rolton, Dr Edwin de la Harper Hertzog, Mr Stephen Falcke, Mr Anthony Nicklin, Mr Boyd Varty, Mr & Mrs Hansjurg Saager, Bergplaas, Seat of the Spirit of the Wild, Drostdy Hotel, Londolozi, Samara and Singita Private Game Reserve(s), SANParks, Thornybush Collection and Tsogo Sun hotel group.